We are pleased to announce that the Pacific Stories DVD has been released. There are 8 short films by 8 talented filmmakers from Pacific Islander backgrounds – approximately 45 minutes worth of Pasifika films to enjoy (click here for more info about the films). Also included on the DVD is a slideshow of production photos. We had an amazing time making these films and it is an honor to be able to share these stories with you now! Payments Instructions: Click on the link above. You can purchase directly via Multicultural Arts Victoria website by using a credit card using Paypals secure payment system, alternatively you can use a PayPal account using funds from any account. Either way, simply add your desired items to the cart and proceed to the checkout when finished. *Note that prices quoted exclude postage and handling fees, this will be calculated upon checkout. 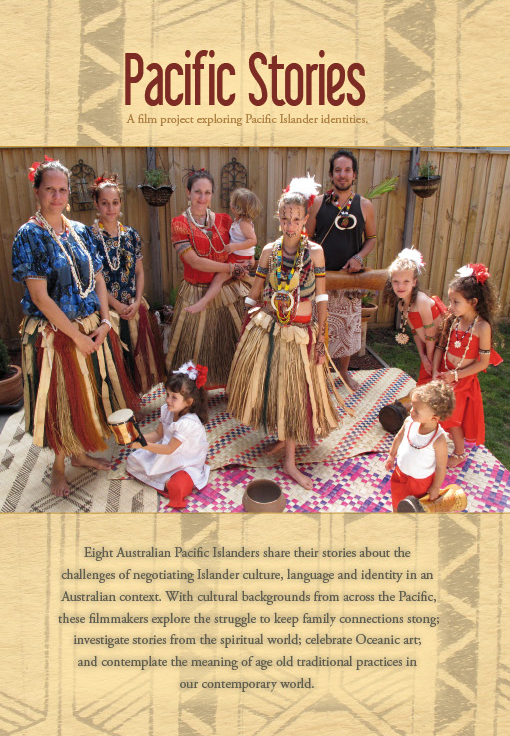 *Please provide your postal address for DVDs and put Pacific Stories DVD in the payment description.